It is important to weigh and measure your tortoise/s regularly to monitor growth and to make notes of any health issues, visits to the vet, changes of equipment (like UVB lamps) etc. 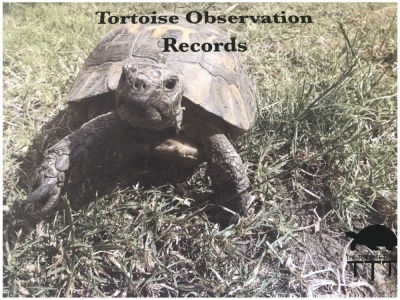 The Tortoise Table Observation booklet is designed for you to keep all your notes in one place, as well as recording observations you make regarding your tortoise/s health and behaviour. The booklet can a valuable resource to take with you on visits to the vet. Click on the link below to download the free PDF booklet for your personal use. To purchase the booklet click here and scroll to the bottom of the page.